As soon as winters arrive, all you need is a warm place. 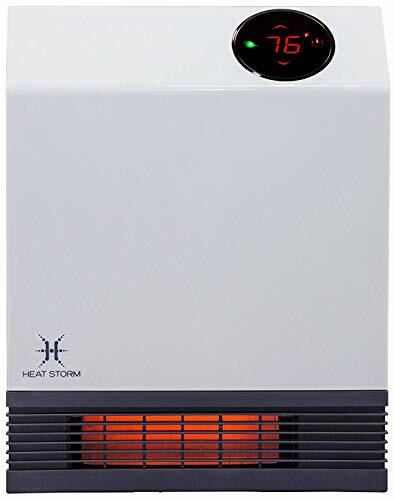 Be it your living room, bedroom, dining area or even bathroom, you are going to need space heater. There are many portable heaters available in market. Many of them work effectively and rest are just good looking. Some of them save lot of electricity while others can give you shock with their power consumption speed. So how to decide which is the best energy saving space heater? Our best energy efficient space heater reviews will definitely help you to purchase perfect product. And the buyer’s guide at the last section will solve all your questions related to portable space heaters. 13.1 1. Are space heaters safe? 13.2 2. How much electricity does a space heater use? 13.3 3. Do space heaters save money? We looked into all the aspects of such heater. Power consumption and electricity bill is one of the biggest concern of all the buyers. Feeling warm during winters is awesome but at the same time these heaters should not cost you fortune in electricity bill. We will also discuss about best space heaters for large rooms, bedrooms, small rooms and much more. So here is the complete list of most energy efficient space heater that you should buy. 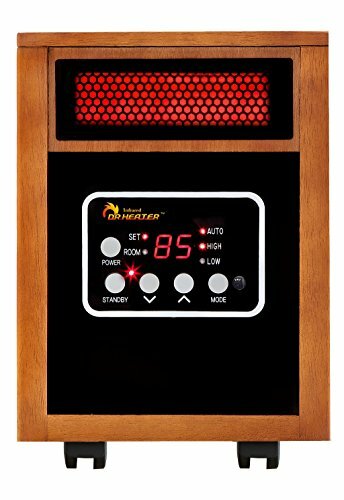 The classic looking Dr Infrared Heater stands #1 in our best space heater reviews. This is because of its exemplary features. Its advance dual heating system provides fast heating to large rooms. It delivers 60% more heat as compared to other models consuming 1500 Watts. Also the low noise of blower makes it best quiet space heater. This product is certified by Underwriters Laboratories (UL) USA and Canada. 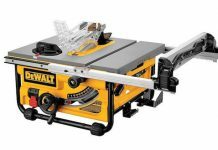 This ensures you of highest safety standards along with using quality materials. It has three stages of heating: Auto, low and high. You can set the temperature accordingly. In addition, you can also set the temperature on high or low manually or set it with the help of timer. You know what makes this product so special? It uses infrared heating technology. This means it heats up the objects of the room rather than air. Ultimately, makes you feel comfortably warm. In addition, it is easily accessible using remote. So no need to stand up every time you wish to change the temperature. Do not worry about the look of this product. Its classic design will perfectly fit in your room making it beautiful and cozy. 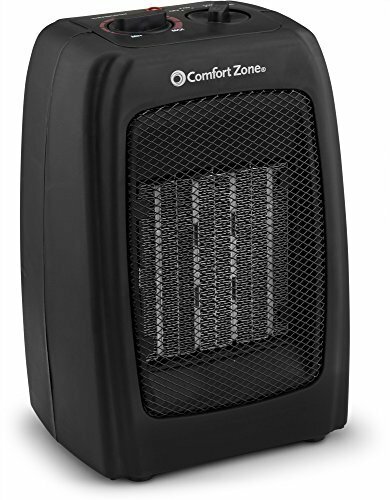 This product is among the most purchased space heaters on amazon. Which makes it stand #2 on our best review list. Low weight of this heater makes it very easy to move from one place to another. All you need to find is good plugging point. And it effectively warms small areas of home and office. If you’re on strict budget then this product is just right for you. Save your hard earned by purchasing this cheap space heater. Apart from that, it has three control options: fan only, low heat and high heat. You can manually set the temperature if you wish. If you’re worried about the safety then let me tell you that this heater detects overheating. It automatically shuts down if temperature goes above certain limit. Also the oscillating ceramic heating effectively warms up small rooms. Thermostat heating feature of Lasko 5409 actually warms the air rather then just blowing hot air. Which means the room will stay warm for little while even after you turn it off. Ain’t that amazing? Heating and saving energy, both at the same time. This product is available in different shapes and sizes. You can easily fit it in small space without adjusting. This portable energy efficient space heater is best for small rooms. If you are looking for a compact heater than Bovado USA 166648 model is just perfect for you. It is easy to carry as it is super-light. Carrying handle at its back makes it convenient to shift from one place to another. You can even include it in your travel bag. No need to worry about chilly weather when you have this best personal space heater. 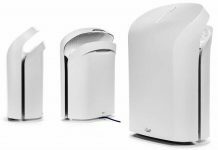 Just like big models, it also have three temperature settings: high heat, low heat and fan only. You can manually adjust the intensity according to your comfort. They use PTC technology which means the heat can easily transfer into small spaces with specialized ceramic heating discs. Proper safety measures and testing is done to meet global quality standards. Also the overheat protection feature prevents burning of the product. This is best personal space heater. The odd shapes of certain heaters can really make your room look ugly. And not to mention cheap space heaters do not come in impressive style. Lasko 6435 designer model adds elegance to your bedroom along with great heating. Plus the metal base helps to keep heater in its proper position. Multi functioning remote control system enables you to switch on and off the device easily. 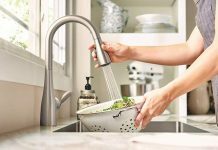 Its electric touch control options makes easy for you to access it manually. You must be wondering, does this have timer option? Yes, it does. It also posses feature of automatic shut down. Which means you do not need to wake up and shut off the device. In addition, it also saves power which makes it best energy efficient space heater for large room. Three silent settings of the product are: High heat, low heat and auto. Oscillating movement easily spreads heat to a large room in very short span of time. Which makes it an excellent partner for winters. Children are more sensitive to chilly weather than adults. They have high chances of getting ill if they do not get proper heat. 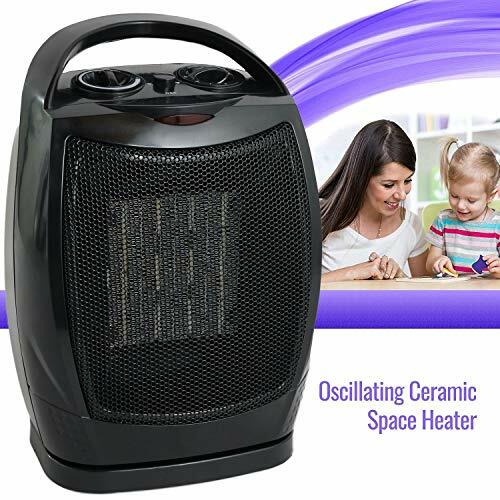 So we present you our best energy efficient space heater designed especially for children and pets. The quite settings of this product will not disturb sleep your love and warm up the small space effectively. Select your ideal heat temperature from: High heat, low heat and fan only. This product meets all the safety measures. Safe ceramic element detects overheating which protects your home from fire accidents. The build in carry handle allows you to shift it from one place to another place easily. Further, oscillating motion of this heater effectively warms up small space. Even after you shut off the device, you can feel the warmth for a little while. 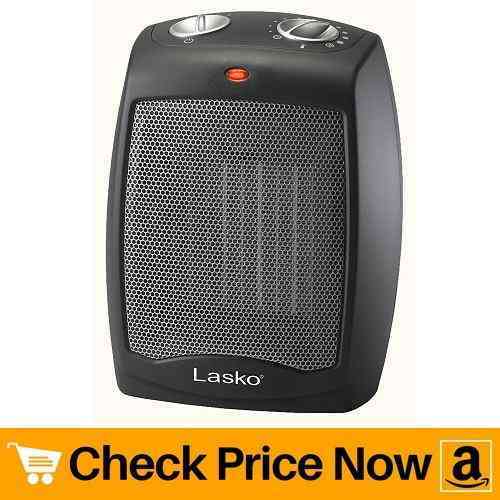 This Lasko space heater is fully assembled, which means all you need to do is plug in, turn on and get cozy. 4.6 lbs is the total weight. Safest space heater for small room. 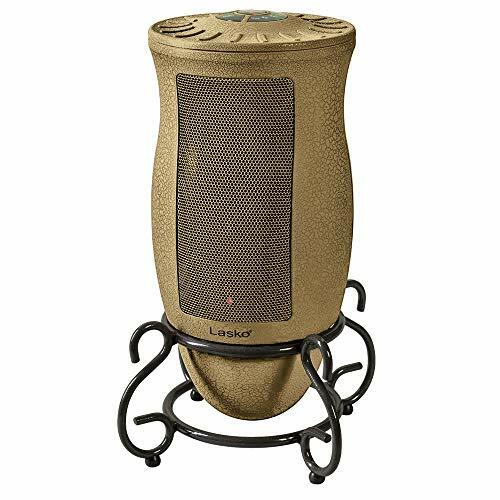 A super quiet oil filled portable space heater stands at number #6 in our best review list. What makes it so different from others? Lets check it out. Its 4-castor wheel and built-in carry handle makes it super easy to move from one place to another. You do not have to rely on another person to shift this product. Plus the metal construction makes this device strong and durable. You can manually choose appropriate temperature from: low 600 watts, medium 900 watts and high 1500 watts. Or else, let the adjustable thermostat do its work. This oil space heater heats up the air and circulates around the room through convection. Also, Pelonis HO-0201 radiator heater do not require oil refilling. In addition, it automatically shuts down if case of over heating. Thus, Keeps your home safe. 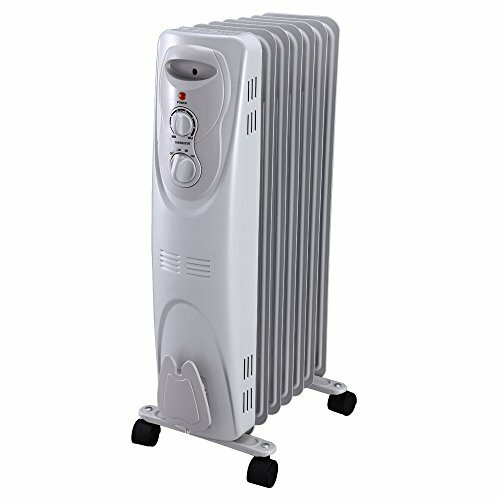 Energy efficient space heater for large room. This simple yet elegant heater is enough to keep you warm throughout winters. It holds a special place in our best space heater reviews. Keep scrolling to find out why. If you’re worried about space in small apartment or bedroom. Then you will definitely fall in love with this product. It uses infrared heating technology, sufficient to warm up small space fast. You can easily mount it on wall and save your floor space. It falls under category of small space heaters. Makes it perfect for small bedroom, kitchen and office. LED display is another attractive feature of this product. You can easily set the perfect temperature using remote. Anti-trip technology automatically shuts off the device in case of over heating. Ensuring safety of home and family. Maximum power consumption of 1000 watts. 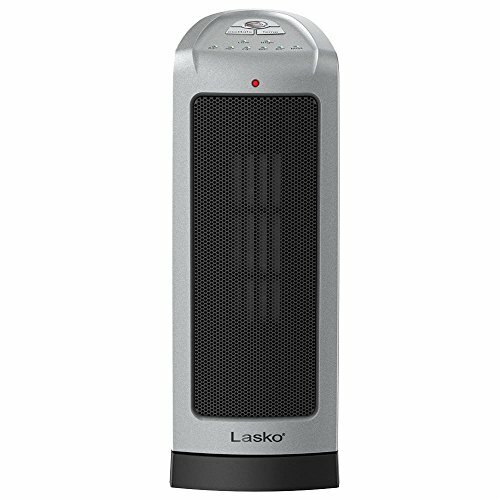 Lasko is one of the most trusted brand when it comes to heater. No doubt, they are best selling space heaters on amazon. This is because they are very cheap and durable. It is real tuff job to find a cheap space heater that provides sufficient heating. You might find inexpensive products in the market but they certainly have issues. They do not match safety measures as well as they are not certified. Trust me, you do not want to risk yourself with them. So here we present you best budget space heater on our review list. 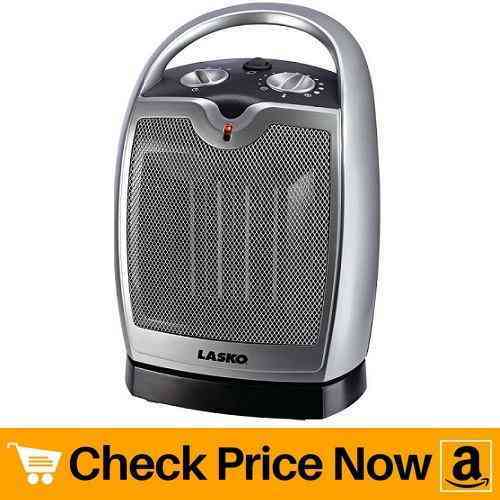 Apart from being inexpensive, this lasko product is best energy saving space heater. You can manually adjust thermostat at the temperature you wish. Three setting options are: fan only, high heat and low heat. Easy to move and operate, this product also falls under category of best portable space heaters. Built-in handle makes it convenient to carry and shift. Safety measure include automatic overheat protection. It automatically shuts down once it sense overheating. Hence, protects your home and family from fire accidents. 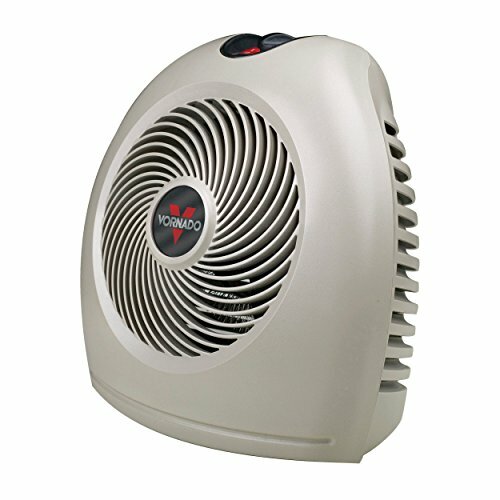 As we are near to end our best space heater reviews, vornado vh2 vortex makes number #9 in the list. This heater delivers continuous and uniform distribution of warm air in small space. Which means there are no cold or hot spots, just warm and cozy room. Adjustable thermostat allows you to set the desired temperature. It automatically shuts down in case of overheating. Thus, keeps you safe. 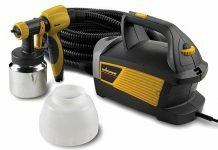 What we love the most about this product is its silent operation. It does not produce annoying sounds like other fan heaters. Also the light weight of this device makes it easy to carry. Hence, you can say it is one of the best portable space heaters. Last but not the least. Unlike other heaters, this one does its work and entertains you at the same time. Also it is one the most efficient space heater as the results are excellent when it comes to energy saving. This mini space electric fireplace heater is portable and safest space heater for small room. It comes in three different colors to choose from. And trust us, you will surely love their every color. Control switch buttons have a normal on and off function. Apart from it, you can turn on the flame effect along with heating. Or you can simply turn on the heater. Which definitely makes it place on our best space heaters list. The only thing you need to take care about is never touch its surface when in use. Use handles if you wish to move heater. This product is not suitable for bathroom, laundry room and any place which is usually wet. Also keep it away from flammable materials in order to avoid fire. Surface gets hot while in use. Never take it near wet areas. 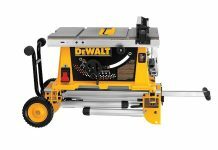 Maximum energy consumption of 1200 watts. Now when you already know best energy efficient space heaters list. You must be curious to find answer to certain questions. Our buyer’s guide will definitely help you to purchase the best space heater. 1. Are space heaters safe? This depends on the manufacturing products and usage. Cheap heaters have high chance of causing fire hazard than expensive ones. This is because they do not use quality products and do not pass certain safety tests. On the other side, if you choose a heater which passes all safety measure, risk of fire accident decreases. Safety do not always depend upon the cost of the product. It also relies on what type of space heater you are using. Many countries have banned gas heaters as the carbon released from it is hazardous to health. While some electric heaters release toxin substance. But in most of cases, electric heater are more safe to use as compared to others. On a general note, always follow the instructions that come along with the product. Not only it will increase its life but also prevent fire accidents. Thus, space heaters are safe if you use them properly. 2. How much electricity does a space heater use? According to national average electricity rate, it costs $2.82 a day if you use heater for 16 hours. Electric space heaters are energy efficient as compared to oil and propane heaters. Natural gas also costs low and helps in energy saving. 3. Do space heaters save money? If you prefer electric space heaters over other products then you will surely cut down your electricity bill. Use a electric heater with good or automatic thermostat. This will maintain perfect room temperature and save energy. Do not keep them on high temperature as it will consume more power. Also it will affect your health. Maintain mild temperature as it will increase life span of the product and reduce risk of overheating. Lastly, our best energy efficient space heaters reviews will not fail you to buy perfect partner during chilly weather. Also checkout homestuffpro for more reviews and guideline to make the perfect home.